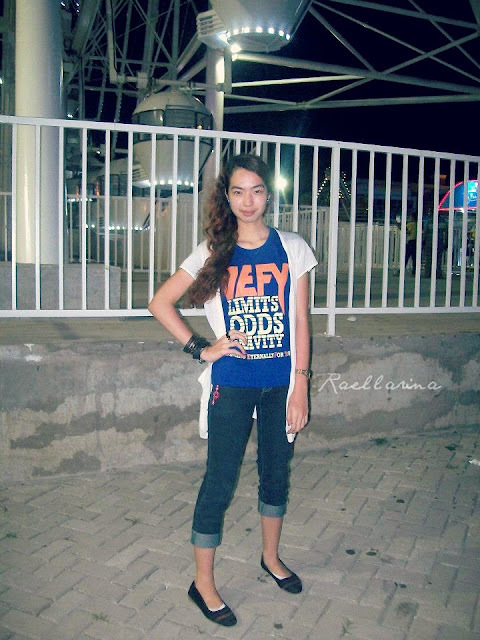 Just a simple outfit I wore a few weeks ago when my cousins and I went to Sky Ranch. 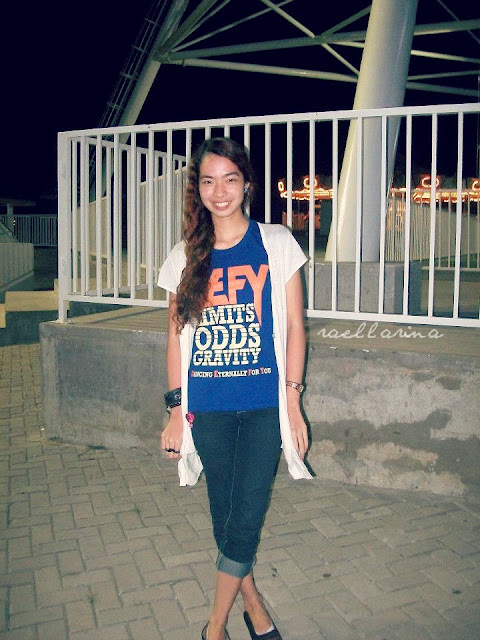 Honestly, I had no planned outfit for this night because I was so pre-occupied with the fun (vacation) things we did. heh. My go-to outfits are usually composed of vests, denim mini skirts, black arm party in one arm and caps. But since I was on vacation at my grandma's house before heading to Tagaytay, only few pieces were with me. *sad* -sniff sniff-. I brought my favorite human cap but because my stuff were all over the place at our Tagaytay house, I wasn't able to find it and wear it for this night. Also, I opted to wear pants because we were gonna ride amusement attractions. haha. you look stunning ! ! ! ! ! Well you looked cute! Love that shirt! That is a really cool quote. you look so cute!! on vacation, I kinda care a bit less about my outfit too because I am having too much fun! plus, on vacation, I walk a lot so I need a comfy outfit haha!